While craft and the art of bespoke are experiencing a resurgence in appreciation, it’s always been the singular mission at Soane Britain. 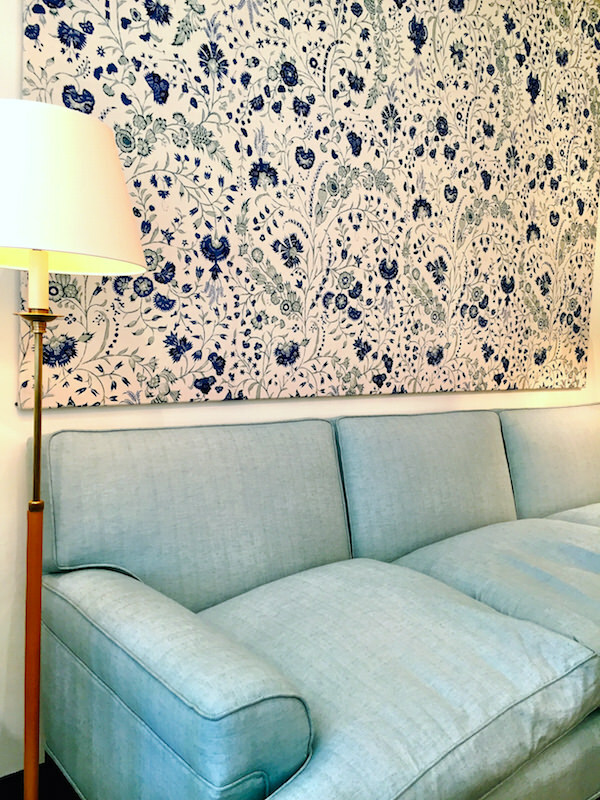 For the last 18 years, founder Lulu Lytle has been creating covetable furniture, lighting, fabrics, wallpapers and accessories that are the essence of “exquisite craftsmanship, elegant proportions and deliciously English sense of the exuberant.” With a strong following among select designers and architects in the area, Soane has finally opened a New York office. As a longtime and admittedly obsessive admirer, I was thrilled to stop by this week to finally take a peek at all the beautiful products in person. Soane Britain is the best of both worlds – a modern company that understands the desires and needs of contemporary interior design and one that respects, seeks out and supports artisans with traditional skills and unparalleled workmanship. Every single piece is made in Britain by one of their stable of small workshops with whom they have collaborated for years. 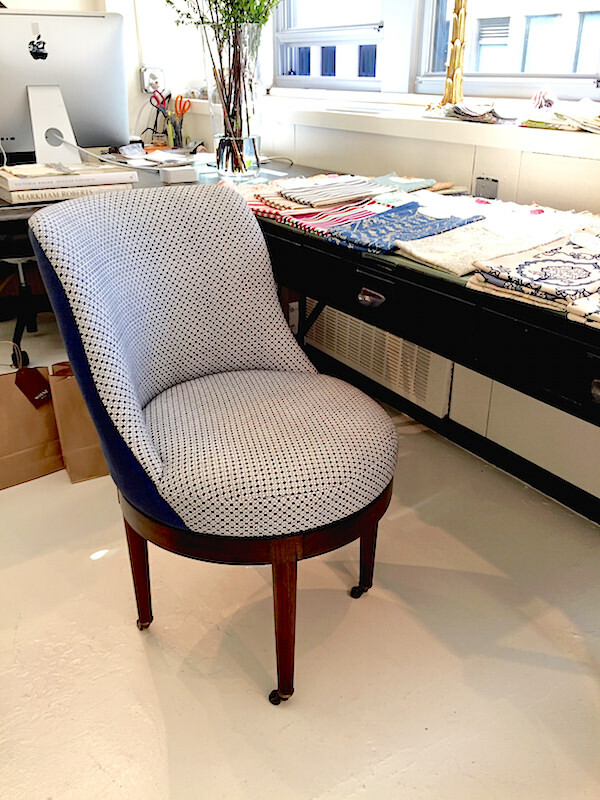 The new midtown studio includes a curated grouping of many Soane favorites such as the Simplified Crillon chair above. 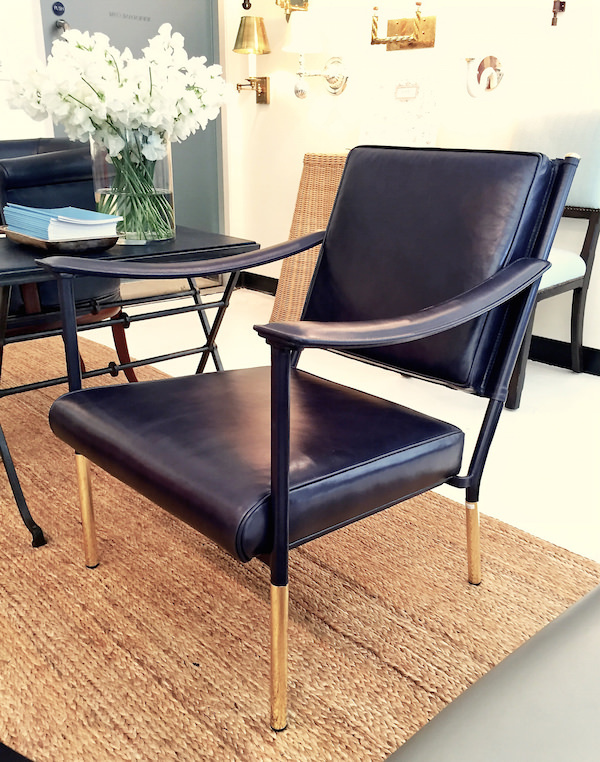 Inspired by a mid-century French design, it is custom made in the client’s choice of butter soft hand-stitched Soane leathers. Like all of Soane Britain chairs, the Crillon is not only beautiful to behold but also to sit in with perfect pitch and depth. Above, the versatile Cavaletti Table is handmade in Soane’s blacksmith workshop of forged iron in a choice of Soane’s seven finishes with a custom drop-in top. To the left is the classic Quiver Klismos Chair made by a combination of five specialist workshops. 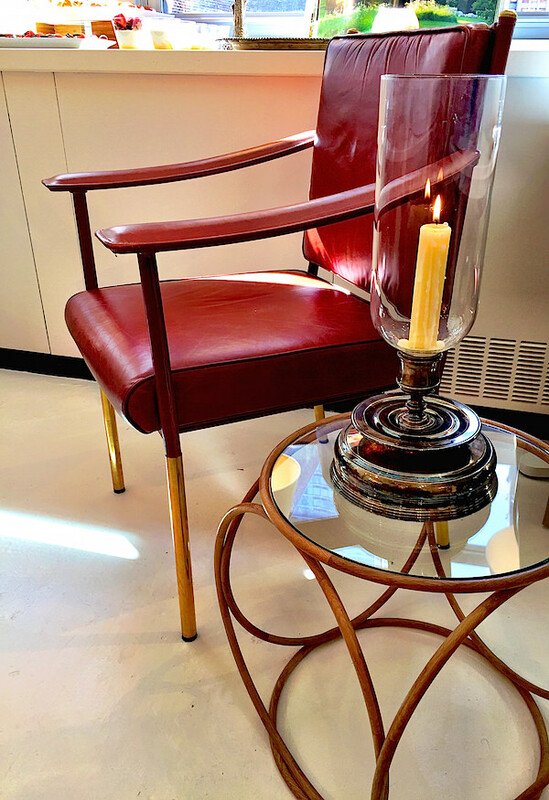 The Crillon chair in a cherry red, above, sits behind the mid-century inspired Velo Low Table. The timeless Verandah Light, based on a 17th century English hurricane lantern is appropriate for any room. I felt like Goldilocks giving every seating option in the studio a test run and each received an enthusiastic thumbs up. 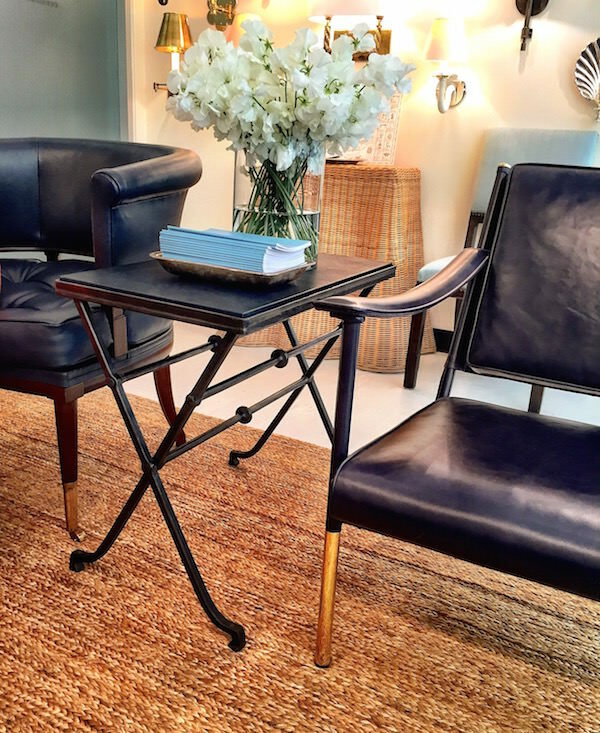 The Swivel Gallery Chair would be a chic choice for desk or dressing table, especially where space is at a premium. While the footprint may be small, it is big on practicality and comfort. The Vendome Sofa is a modern classic in my book. Based on a French version from the 1940’s, it features traditional hand sprung feather and down upholstery. On the wall is the best selling Dianthus Chintz in a fresh new colorway. 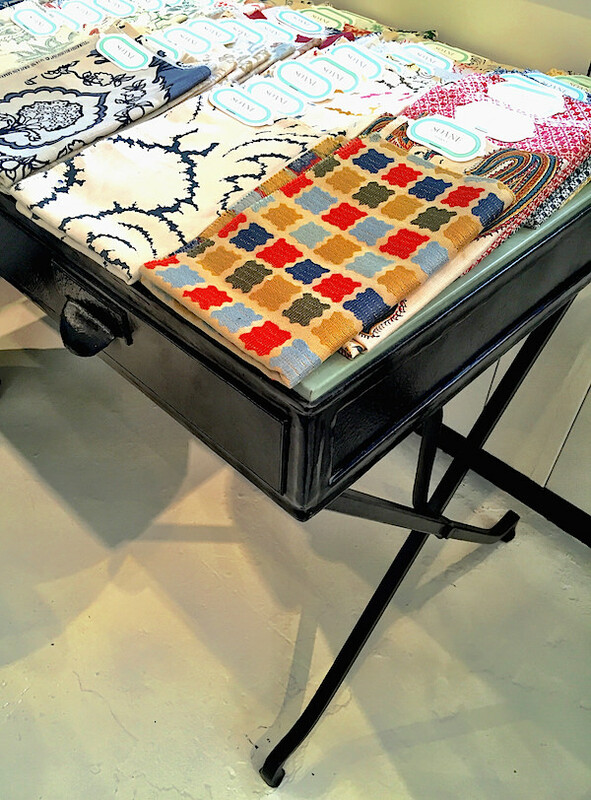 Of course the entire fabric and wallpaper collection is available to see and touch. 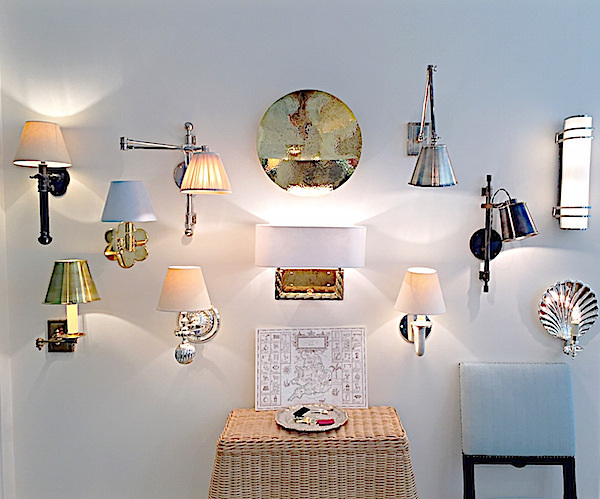 A lighting wall of greatest hits shows off Soane Britain’s stylish selection of sconces. 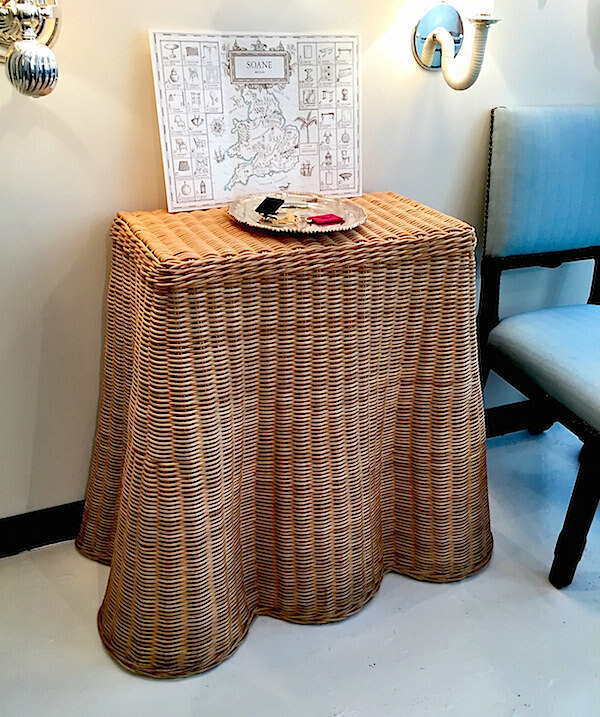 And below, the fetching rattan Small Ripple Console holds the charming illustrated map of Soane’s “Remarkable British Craftsmen & Their Workshops”. 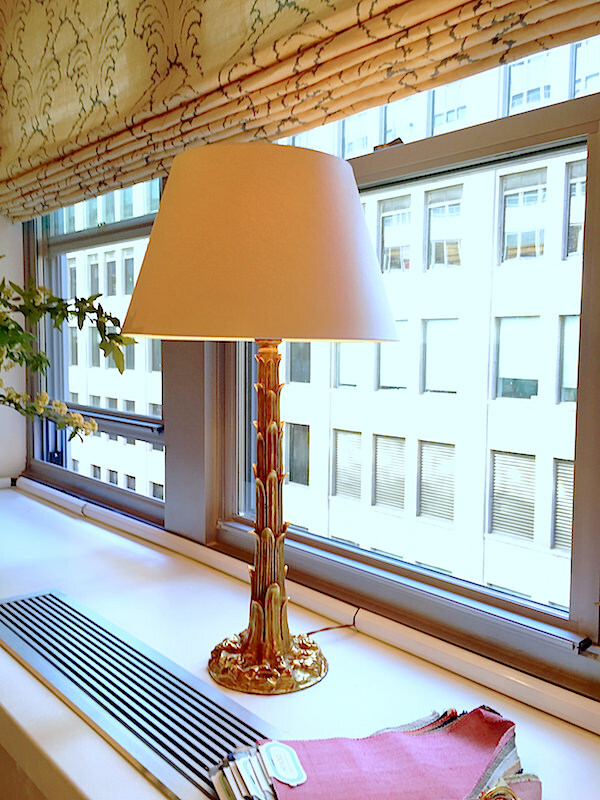 Other lighting around the studio included one of my favorites, the Pygmy Palm lamp, cast from a 19th century original using the lost wax technique and available in any of Soane’s in house metal finishes. 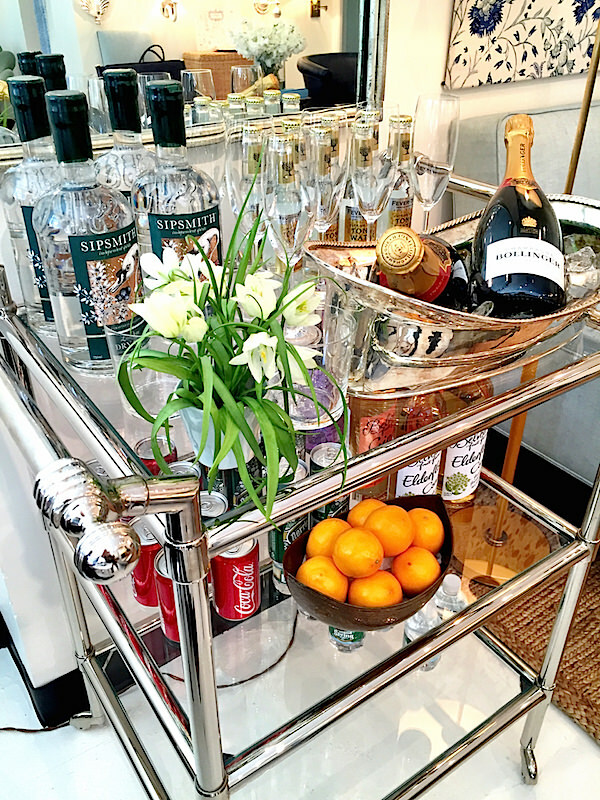 It was a festive morning and their fabulous Nureyev Trolley was put to good use. I’m sure I speak for many of us in the design community to say we are thrilled to welcome Soane Britain to New York! Studio visits are by appointment only. Interior designers may book by calling 646-201-9553 or emailing [email protected] . This entry posted in furniture, interior design. 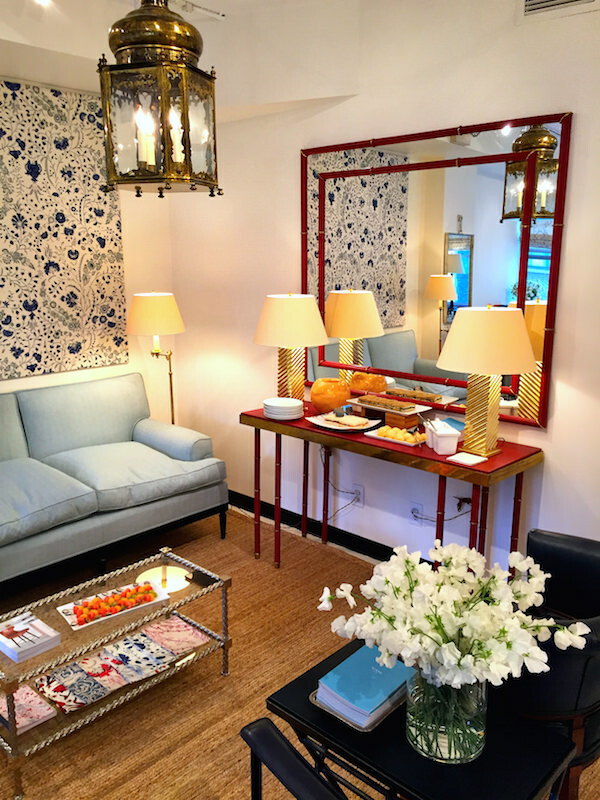 Entry Tags: Designer fabrics, Furniture, interior design, Lighting, Soane, Soane Britain, Soane in NYC, Soane US Bookmark the permalink. How lucky you all are to have them local! I adore their aesthetic and ethos! Sleek and artful designs! Love the selection of sconces. Soanes furniture. Would love a catalog of their pieces. and of course Soanes furniture. Would love a catalog of their pieces.